Buying a home is complicated, and it’s easy to get swept up with your emotions when so much is at stake. 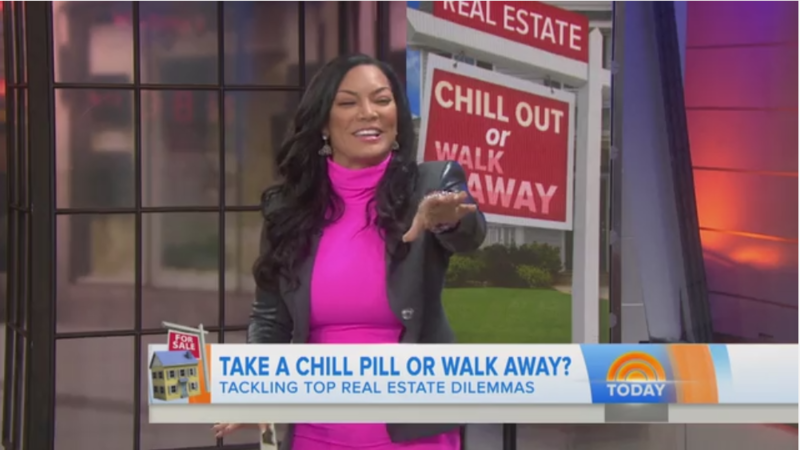 Author and HGTV host Egypt Sherrod stopped by studio 1A on Thursday to help channel those emotions. Read on to see in what real estate situations you should chill out — and when you should walk away. You put an offer on a house and it is accepted. However, after getting the home appraised, its value is $30,000 less than your offer. The seller refuses to come down to the appraised price. Walk away. No one should overpay for a house because the sellers weren’t being realistic about the market. And if you overpay now, that can hurt you even more when you try and resell.